Basement mold is some pretty tricky stuff. If your basement has the right conditions, you could find yourself dealing with it. You could just ignore basement mold but it typically won’t go away. In fact, if you let it, mold with grow and spread to become a nasty humongous fungus. When it gets to this point you have a real job on your hands, and feet and whatever else comes in contact with the festering collection of spores. The real nasty thing about mold is that it can make you sick. It can trigger a whole host of allergic reactions, for starters. Then it can move into territory that becomes far more serious if the fungus living in your basement happens to be of the poisonous variety. Speaking of moving, once a mold gets a firm grip on your basement – and you let it – something interesting happens. The mold will continue to grow and spread throughout your home. If your basement frequently floods, guess what? You have the perfect environment to grow mold. The flooding can result from heavy rain, ground water seeping through cracks in the concrete foundation, burst plumbing and our favorite: forgetting to turn the taps off when filling a bathtub. Oh, then there’s the leaky waterbed and well, you get the idea. In order for mold to start to form, it needs a humid place with high moisture content. Did we mention that mold smells? Okay, we were getting to that. One quick way to identify basement mold is from the odor it emits. It is far from pleasant however, it will likely burn at your nostrils in much the same way that your Uncle’s cheap cologne did. Only the main difference is that mold is more of a stench. Ah, alright, what we mean is that mold has to reach a certain stage before it starts to become, shall we say, pungent? We indicated that a damp environment is an open invitation for mold-a-pa-looza. However, you can spot check some key locations to beat it to the stinky stage. Pipes along walls are a good starting point. Mold happens to like your home décor as it feeds off of carpet padding, plywood, drywall, furring strips and even the teeny-tiny parts that exist deep inside carpets. Checking frequently will aid in spotting spots of mold before they can get out of hand. If you hit the motherlode and locate patches of mold, don’t touch it. Don’t even breathe near it. If any of it gets on your clothes or tools, burn them immediately. Okay, we added that last part to see if you were still with us. If mold does get on your clothes or tools, wash them immediately. Then you should call a professional mold extractor. Small patches you may be able to remove yourself but for mold that has spread into walls, floors or has just more or less moved in for the season, you really have to enlist the services of a professional. 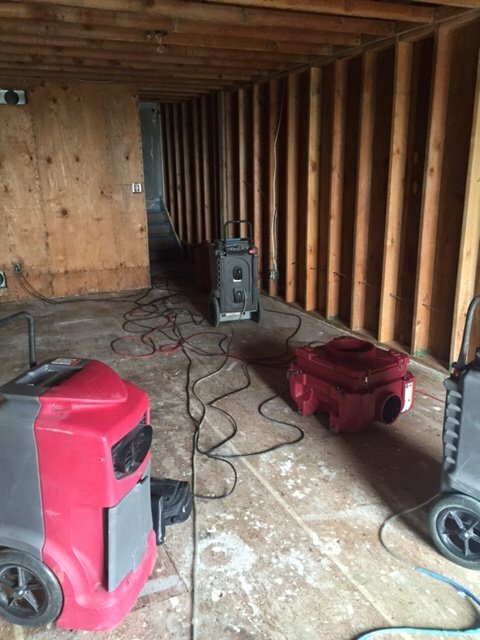 For more information on mold prevention and removal in and around the San Francisco area, contact us today at (650) 835-4447, GCD Restoration.